Wipe Out is an instrumental song written by Bob Berryhill, Pat Connolly, Jim Fuller and Ron Wilson. The song propelled the Surfaris to international stardom. This “afterthought” track went to #2 on the Billboard Hot 100 (#10 on the R&B chart), #5 in the UK and Canada and #46 in Germany. Wipe Out has been featured in more than 20 films and TV series since 1964. 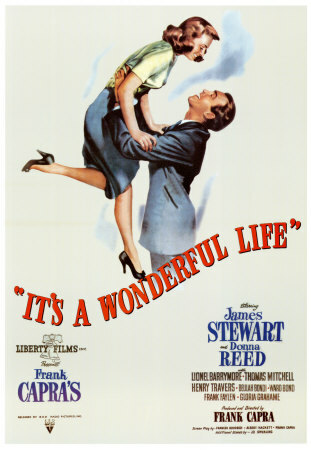 George Bailey (James Stewart) has given up his dreams in order to be a help to others. Deciding on suicide on Christmas Eve, his guardian angel (Henry Travers) intervenes. Yo! Bum Rush the Show was the debut album of American hip hop pioneers Public Enemy. A critical success, the album peaked at #125 on Billboard’s Top LPs chart (#28 on their Top Black Albums chart). The singles off the album were Public Enemy No. 1 and You’re Gonna Get Yours. The group consists of Chuck D, Flavor Flav, DJ Lord, The SIW group, music director Khari Wynn and Professor Griff. Public Enemy formed in 1982 and are known for politically charged lyrics, who actively criticize the American media and routinely express the frustrations and concerns of the African American community. It was their politically charged and socially conscious brand of hip hop along with their label mates the Beastie Boys that put the genre of hip hop on the map and paved the way for a generation of artists, and not just hip hop artists either. In December 2012, it was announced that Public Enemy would be inducted into the Rock and Roll Hall of Fame in 2013. 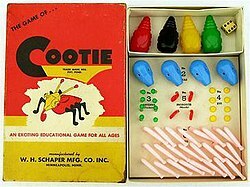 Created by William Schaper in 1948, Cootie is a children’s game for 2 to 4 players. The object is to be the first to build a three-dimensional cootie bug from a variety of plastic pieces. The acquisition of body parts is determined by the roll of a die. The first part you must acquire is the body, then the head. After that, you can acquire the remaining pieces in any order. First off, regular Coke contains a small amount of vanilla. Technically, Vanilla Coke has been around since the 40s. Upon request, soda fountain workers (or soda jerks) would add a shot of vanilla syrup to 12 to 16 oz. of fountain Coke soda. This remained a common practice at ice cream shops until early 2002 when Coke decided to do that themselves and mass produce cans of Vanilla Coke in an effort to compete with Pepsi Vanilla. Diet Vanilla Coke and Vanilla Coke Zero were additionally added. After great sales initially, they slowly began to taper off. By the end of 2005, Vanilla Coke and its cohorts disappeared from shelves in the U.S. and the UK. 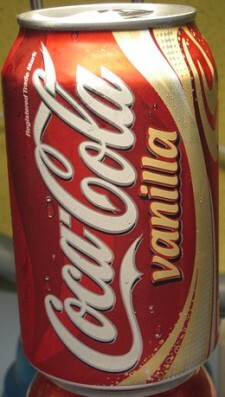 In February 2007, Vanilla Coke was re-introduced in New Zealand and in May 2007 back in the U.S. Also in 2007, it was introduced in China and other European countries — but not the UK. Finally, for fans in the UK, it was re-introduced in the UK in early 2013. The re-introduction of Vanilla Coke into all the markets only included Vanilla Coke and Vanilla Coke Zero. At this time, Coke has no plans to ever re-introduce Diet Vanilla Coke. We, here, at Walk Memory Lane wish you and your family a very merry holiday season and a very happy new year! Christmas movies are not for pessimists. They’re all so touchy-feely and leave you with a bad case of the warm fuzzies. In the real world, for some, the holidays are actually a dark, lonely, depressing time. Let’s present five beloved (over-played?) Christmas movies with alternate endings for the pessimists of the world. PLOT: Seven years after the death of business partner Jacob Marley, Ebenezer Scrooge hates Christmas! The story begins on Christmas Eve and Scrooge is visited by Marley’s ghost who advises Scrooge to change his ways and avoid suffering the same fate as Marley in death. Asleep that night, Scrooge is visited by an additional three ghosts. The first ghostly visitor is the Ghost of the Christmas Past who takes Scrooge back to scenes from his childhood with his sister Fanny, his first boss and his fiancée Belle. The second ghost, The Ghost of Christmas Present takes Scrooge to the scene of nephew Fred’s Christmas party and to his employee Bob Cratchit’s family dinner with son Tiny Tim, whom Scrooge is informed will die if things don’t change. The final ghost, The Ghost of Christmas Yet to Come takes Scrooge to next year’s Christmas. Tiny Tim had died and the visit ends at a neglected grave that ends up belonging to Scrooge himself. Crying, he vows to change. He awakens on Christmas Day and is, indeed, a changed man. Scrooge spends the day with Fred, gives Cratchit a raise and sends the family a magnificent turkey for dinner. ALTERNATE ENDING: (This movie was going so well until Scrooge decided to change.) After being awake all night flying around with those ghosts and having to endure the trauma and shock of being visited by four ghosts in one evening, Scrooge is exhausted after the last ghostly visit and doesn’t awaken until New Year’s Day. Scrooge decides to make changing a resolution instead. As resolutions tend not to stick, Scrooge falls back into his familiar patterns and resolves to try the resolution next year where hopefully he’ll have better success….. PLOT: On Christmas Eve, George Bailey contemplates suicide. Prayers for him reach Heaven where Clarence Odbody, a 2nd Class angel is assigned to save him. If Clarence is successful, he will get his wings. Clarence’s reviews George’s life to this point, which includes George having saved and sacrificed himself numerous times for the betterment of others. Back in the current time, a drunk George crashes into a tree and he staggers to a bridge where he intends to kill himself. Clarence jumps into the water first, pretending to drown, which prompts George to save him. Clarence reveals to George that he is his guardian angel, but George doesn’t believe him and wishes he had never existed. Clarence grants his wish and shows George the lives of his loved ones in which they are all miserable. George begs to live again and all ends well. ALTERNATE ENDING: George jumps into the water to save Clarence, completely forgetting that he doesn’t know how to swim. (Why do you think George tried to drown himself?) George and Clarence both die and Christmas is ruined. PLOT: Ralph “Ralphie” Parker is desperate for a Red Ryder BB Gun, which three people (his mom, his teacher and Santa himself) tell him no way because he’d shoot his eye out with. A bad grade on a composition about wanting the gun as a Christmas gift prompts a fight with a local bully. Meanwhile, on Christmas morning, Ralphie ends up getting the gun. He goes outside to play with it and the ricochet from the bullet causes a blow to his cheek and knocks his glasses off. While searching for them, he steps on them and they break. Their Christmas dinner ends up ruined as their neighbor’s dogs eat it, so the Parkers end up eating dinner at a Chinese restaurant. ALTERNATE ENDING: The restaurant ends up being a Chinese/Italian mix of cuisine. The Parkers decide to order chicken tetrazzini all around. Unfortunately, the chicken isn’t cooked and they all end up with food poisoning. PLOT: The night before their Christmas holiday to Paris, the extended McCallister clan torment 8-year-old Kevin. After a fight with brother Buzz, Kevin is sent to the third floor. A power outage occurs overnight that causes the family to over sleep. When they awaken, in the confusion and bustle to get to the airport they don’t realize that they have forgotten Kevin until they’re airborne. Once they land in Paris, mom Kate tried to get back to Kevin. Meanwhile, Kevin awakens and initially is elated to find himself alone. He then learns a pair of burglars are targeting the empty houses in his neighborhood. On Christmas Eve, Kevin sets up numerous booby traps around his house to thwart the bandits, which he successfully does and the pair is arrested. The next morning, Kevin wishes that his family will appear. He races downstairs and is disappointed. Soon after, Kate has finally managed to get home. Shortly after their reunion, the rest of the family return. ALTERNATE ENDING: The McCallisters become so enamored with Paris, they move permanently without returning to Kevin. But don’t worry about him, Kevin becomes a rousing success in the home security business. Who needs a family anyway? PLOT: Clark Griswold attempts to have the perfect Christmas for his family. Things go completely awry – Christmas dinner ends up a disaster, their tree goes up in flames, Clark’s Christmas bonus doesn’t come through and the SWAT team shows up. In typical Christmas movie fashion, everything works out in the end and everyone is happy. ALTERNATE ENDING: This movie is a pessimist’s dream until every mishap ends up working out in the end. The only fitting ending for this movie is to have Christmas go perfectly from the beginning and having the family realize that perfection is overrated and that they should have just went to Wally World instead. I Touch Myself was the lead single off the Austalian band the Divinyls’ fourth album, which was self-titled. A staple on the Australian music charts since their 1983 debut album Desperate. It was due to this single that they achieved world-wide fame. Billy Steinberg and Tom Kelly (the songwriting team behind I’ll Stand By You, Like a Virgin, Eternal Flame, True Colors and So Emotional had the single’s first verse and chorus lyrics. They met up with Divinyls singer Christina Amphlett who took an immediate liking to it. The next day, Steinberg, Kelly, Amphlett and Divinyls bandmate Mark McEntee all got together and wrote the rest of the song. In Australia, the single hit number one. In the U.S., it hit #4. In Ireland – #8; the UK – #10; Canada – #13 and #17 in New Zealand and still ranks as their best selling single. I Touch Myself was featured in the 1992 film Prelude to a Kiss and 1997’s Austin Powers: International Man of Mystery. In Chile, you can find the song featured on the soundtrack to their soap opera Graduados. The Divinyls recorded one more album before breaking up in 1996. Amphlett died in April 2013 after a three year battle with breast cancer. Her diagnosis of multiple sclerosis in 2007 prevented her from receiving any radiation or chemotherapy for her cancer. Amphlett was only 55 years old and was survived by her husband. 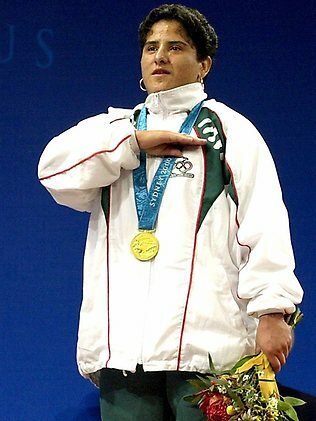 Soraya Jimenez (one of a pair of twin sisters) was a Mexican gold medal winning Olympic weightlifter. Always very athletic, as a child she played basketball, badminton and swimming. Jimenez began weightlifting before her teenage years. Her first major podium finish came at the 1994 NORCECA Cup in Colorado Springs. After achieving her first major win at the Simon Bolivar International in Venezuela, her first appearance at the World Championships came in 1996. In 1998, she won in her weight class at the Guatemala Cup and the Central American and Caribbean Games. In 1999 she won the Thessaloniki Cup, the Winnipeg Invitational, the Simon Bolivar International, the Mexican Olympic Festival and won a silver medal at the Pan American Games and placed eighth at the World Championships. Jimenez participated for Mexico in the 2000 Sydney Olympics where she won a gold medal. She was the first Mexican female athlete to ever win an Olympic medal. After the win, Jimenez retired from competition. In March 2013, she suffered a fatal heart attack at her home in Mexico City and died at only age 35. In the May 24, 1954 edition of Life magazine, John Hersey wrote an article entitled “Why Do Students Bog Down on First R? A Local Committee Sheds Light on a National Problem: Reading.” Theodor Geisel (aka Dr. Seuss) wrote The Cat in the Hat as a response. The story is 1629 words in length and uses a vocabulary of only 236 words. The story introduced the tall, mischievous cat that wears a tall red-and-white striped hat and red bowtie. 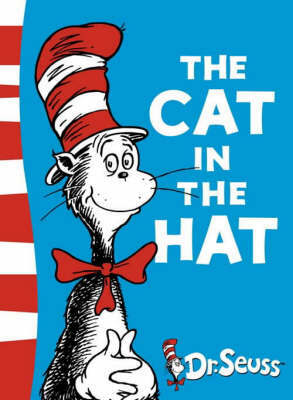 The Cat in the Hat went on to appear in five more Dr. Seuss books. The book has been adapted into 2 musical TV specials, a Russian adaptation special and currently airs as a PBS Kids animated TV series voiced by Martin Short. A feature film starring Mike Myers (see below) was released in 2003. Two stage adaptations have been made. In 1999, a ride at Universal Studios took guests on a journey through the Cat’s world. An educational CD game and a digital book app are also out there featuring the Cat.